The TV uses Dolby Digital Plus sound technology as well as a low power mode. When it comes to audio department, the Dolby Digital Plus technology claims to provide a better all-around audio experience through the two 5W speakers. 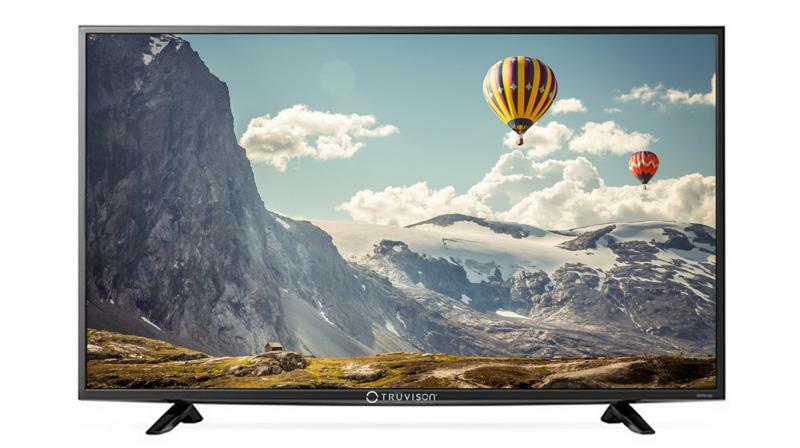 Truvison, a European consumer electronics launched its newest 50-inch TV – TW5067. The new TV is priced at Rs 40,490 and comes with full HD resolution. The TV adopts a slim design with narrow bezels and smooth finish. The company claims that the display provides a wide-angle view and the ‘Cornea Technology’ is claimed to reduce strain on the eyes. In short, it works like night mode or reading mode on smartphones. When it comes to audio department, the Dolby Digital Plus technology claims to provide a better all-around audio experience through the two 5W speakers. The speakers also use the company’s Clear Voice-2 technology for a distortion-free audio experience. When it comes to connectivity, an inbuilt USB to USB copy function feature lets one stream and share favourite shows, photos, music and movies with two USB sources instantaneously. Apart from these, there’s HDMI 2.0 for connecting it to High definition media players.